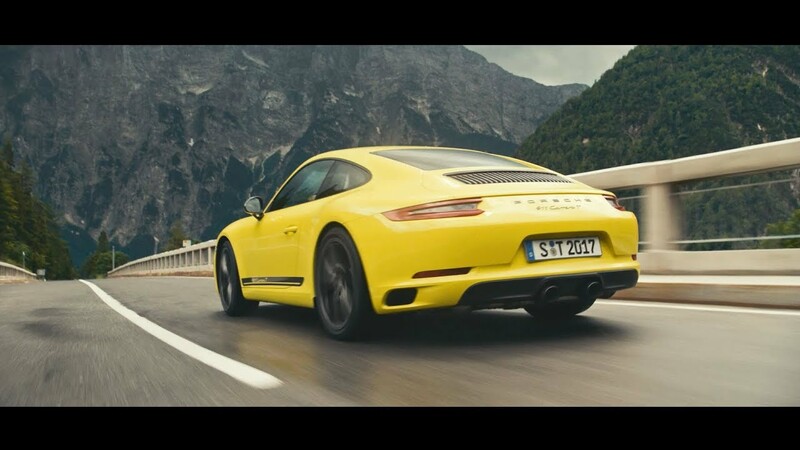 With the 911 Carrera T, Porsche is reviving the puristic concept behind the 911 T of 1968: less weight, shorter transmission ratios from the manual gearbox and rear-wheel drive with mechanical rear differential lock for an enhanced performance and intense driving pleasure. 911 GT3 RS: 0 to 100 kmh in 3.2 seconds, peak speed 312 kmh. This Porsche is green. Why is that? The new 911 Carrera T. Less weight, more driving pleasure. The new 911 Carrera T. The Unfiltered Truth.